Both of tomorrow's ladies football's All-Ireland Intermediate club finalists are pinching themselves a little bit, which is understandable. Clontarf lost four Dublin finals before breaking their duck this year, and went on to win Leinster despite being without their Dublin senior star Sarah McCaffrey, who is currently in New Zealand. Emmet Óg of Monaghan are arguably even more chuffed, given their journey to Parnell Park. It's only three years since Éire óg and Aghabog amalgamated to get enough players together for a senior (adult) team and Emmet Óg's first two years were a baptism of fire in a county rich in ladies football talent. 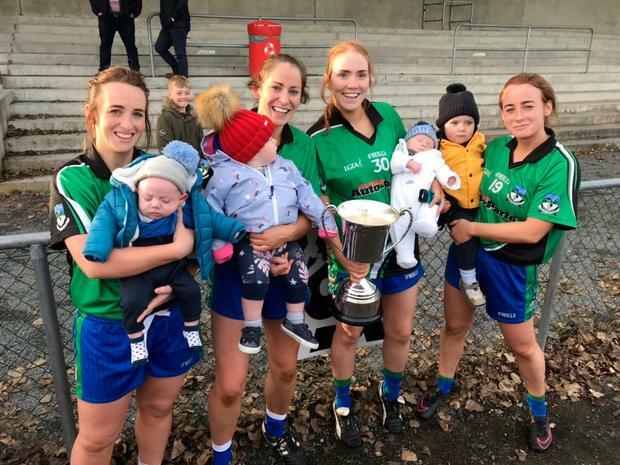 "Aghabog had won the intermediate championship before we amalgamated so we went straight into senior and were playing the likes of Donaghmoyne (five times All-Ireland champions). "I was maybe 17 at the time and straight into the deep end," Emmet Óg captain Nicole Rooney says. "It's very, very hard to keep things together when you're up against the likes of Donaghmoyne. We're just lucky the girls love football and, in a way, that experience has stood to us. "When we lost our first game this year by only three points we were delighted that we weren't hammered and could actually contest games by now," she admits. They've kicked on since but, despite combining the best of two clubs, Emmet Óg have to dig deep for numbers. Their oldest player is 32, their youngest - corner-forward Fearne Monaghan - is just 15. They are also proud to have three mothers in their panel - Michaela Newell, Charlotte McMenamin and midfielder Marian McCarville. "Marion's child is only 12 months old. She plonked her in the middle of the stretches one night and I looked over and the wee one had her leg in the air," chuckles manager Gerry Treanor. "I said, 'Now that's what football's all about!'" Left-footed Monaghan wizard Ellen McCarron is their star player and they've endured real drama to get here. Their county final, with O'Neill Shamrocks from Clontibret, went to a replay. It was played just three days later, on a Wednesday night, and featured two stoppages - one for 20 minutes - because the floodlights died twice. Since then they've beaten Saval (Down), Donaghmore (Tyrone), Kinawley (Fermanagh) in the Ulster final and Scotland's Dunedin Connollys in the All-Ireland semi-final. "I'd say the county final was the toughest of all. We survived despite everything, including the floodlights. That was the game that knitted us together," Rooney says. "I don't think it's hit us yet that we're in an All-Ireland final. We've been floating in a wee bubble and there's a great buzz around the area. There's hay bales coloured green and blue and everyone has bought into it. "In three years we could be county champions, Ulster champions and All-Ireland champions!"